John Edward Barwise spent fifty years collecting farming memorabilia, restoring and painting machine parts and name plates by hand. The collection includes vast array of farming implements, tractor seats and a large number of machine name plates. 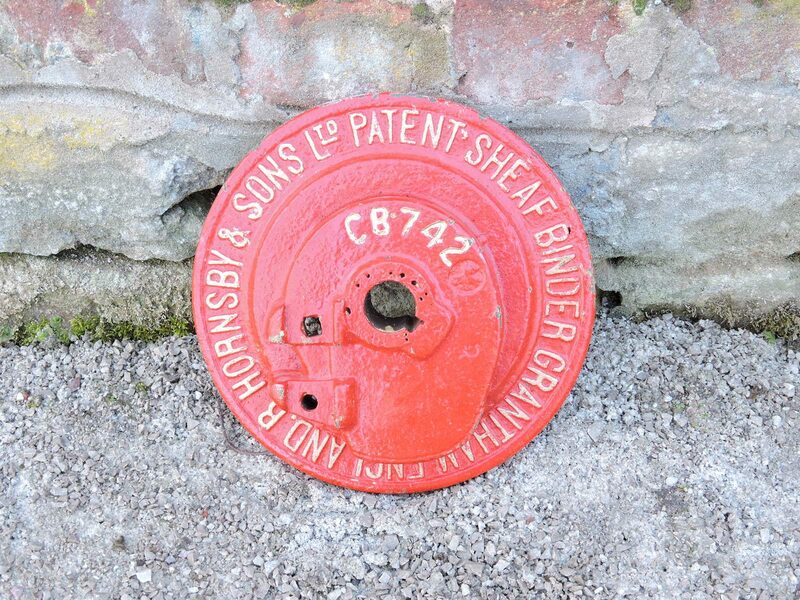 John Barwise collected many different agricultural machine parts including name plates, wheel hubs and cogs. 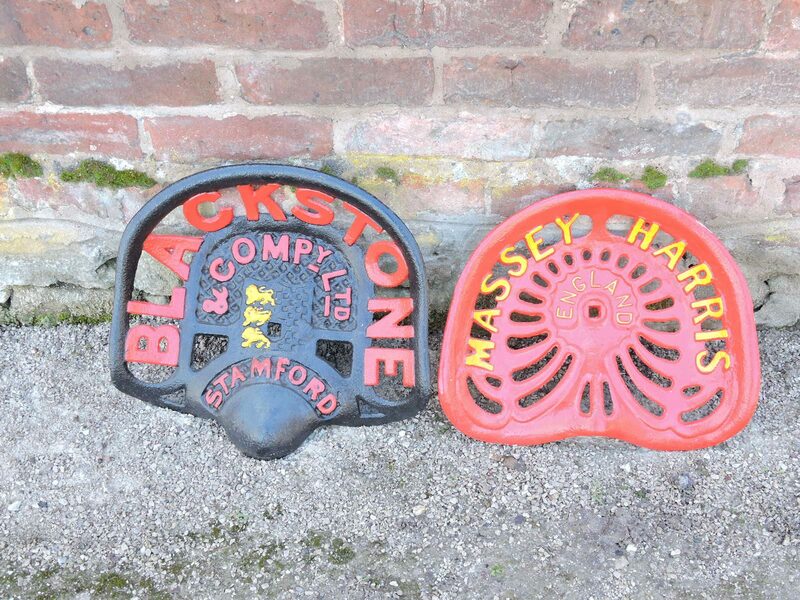 Some old tractors had elaborate metal seats with the name of the maker. John collected over 40 tractor seats and painted them in bright colours to highlight the metalwork. John Barwise spent fifty years collecting farming memorabilia, restoring and painting machine parts and name plates by hand. His enthusiasm started at a young age when he helped his father on their farm. At the age of ten he drove his father’s Fordson tractor to cut ten acres of corn. Although the farm was sold in 1957, he continued farming and began his collection of farm implements. “He would got to as many farm sale as he could and you would often find him rummaging through the scrap times looking for name plates from old machinery.” Terry Barwise, John’s brother. His ambition was to start his own museum but when John passed away in 2016 the collection was donated instead to Greenfield Valley Museum where it could be displayed with other farming memorabilia. The collection of objects is vast and varied and includes various farming implements, tractor seats, weighing scales, tins and bottles, and a large number of machine name plates.